Account of L V S Blacker, The Geographical Journal, 1921. Matthew Parris and Andrew Bryson’s two recent collections of British diplomatic correspondence since the 1930s have expanded the general public’s awareness of the personal opinions and daily (and not-so-daily) adventures of British ambassadors, first and second secretaries, and chief-of-missions throughout the world. 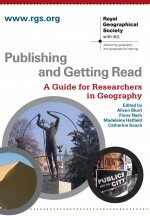 But the Royal Geographical Society (with the Institute of British Geographers) had long been active in receiving and publishing such reports from geographers. Indeed, such reports arguably sustained and expanded the Society’s membership base throughout the last century, until The Geographical Journal, the principal journal of record (as well as the RGS-IBG more generally), gradually shifted its focus from expeditionary promotion to the funding and publicising of scholarly research and geographic education. In many respects, geographers’ reports, letters, and other writings mirrored their Colonial or Foreign Office counterparts: nuanced combinations of anthropological observation, personal narrative, ramblings and distractions, and hard-nosed scientific, cultural, or topographical inquiry. In short, then, geographers and diplomats were (and remain) remarkably similar, representing their nation in diverse (usually foreign) environments, at once “blending in” and remaining conspicuously aloof. Sir, – It is with sincere regret I inform you of the death of Mr. Coulthurst…He had got as far as the Eboe country…The King of Eboe refused to let him pass…I have secured most, if not all, Mr. Coulthurst’s effects, but I cannot find or get any intelligence of his writing-desk or journal…There appears to be some mystery about the journal and writing-desk…(p. 309). What had happened to Coulthurst’s journal? Did someone surreptitiously remove it before Nicholls’ arrival? Did it contain a damning note? Or was its loss simply the result of disorganisation, a storm, or absent-mindedness? Likely intended, Nicolls’ account served not only to report the passing of a colleague and fellow explorer, but stressed the former’s devotion to duty (the assumption that he kept a journal for the Society, and that it had been possibly secreted away), as well as the latter’s self-promotion – Nicholls’ fond, even idealistic account of Coulthurst’s life (he ‘took a very honourable degree’ and ‘from infancy his heart was set on African enterprise’) could serve him well in advancing his own career (p. 310). This was only the beginning. The official 1921 report of Captain L V S Blacker, of the Corps of Guides in the Punjab, published in The Geographical Journal‘s pages, echoes the diplomatic opinions and narratives of ministers extraordinary and plenipotentiary. ‘Islam has spurned the Prussian’, Blacker began,’ so his vapid psychology took him back to Attila, his forbear’ (p. 178). Clearly racist overtones aside, it was an evident flourish to set the stage: presenting a familiar ‘us’ versus ‘the other’, a remark evidently, at least likely in Blacker’s mind, to acquaint the reader with his plight – and how his overcame it. Similar literary, personal emotions, ensconced in flowery diction, appeared throughout. ‘In early 1918’, he pronounced, the looming political strife between indigenous Central Asian peoples and the Bolshevik usurpers ‘were hidden from us, or only discerned dimly across the great spaces of deserts and ice-bound mountain ranges, over which even the hardy Central Asian trader now seldom came’ (p. 179). As Parris and Bryson demonstrated through their archival search, such enterprising language could just have easily flowed from the pen of HM minister to Turkmenistan some eight decades later. E Nicholls, D Calabar, and C H Coulthurst, 1832, Failure of another expedition to explore the interior of Africa, Journal of the Royal Geographical Society of London, 2, 305-12. L V S Blacker, 1921, Travels in Turkistan, 1918-20, The Geographical Journal, 58, 178-97. M Parris and A Bryson, 2012, The Spanish ambassador’s suitcase: and other stories from the diplomatic bag, London: Penguin Press. This entry was posted in The Geographical Journal and tagged Ambassador, Andrew Bryson, C H Coulthurst, Cultural Geography, Duke Calabar, Edward Nicolls, King of Eboe, L V S Blacker, literary criticism, Matthew Parris, Political Geography, Social Geography on July 26, 2013 by Benjamin Sacks.